We believe in sustainable solutions to break the cycle of perpetual aid. Our work puts refugees at the center of these solutions, and provides the tools for refugees themselves to positively transform their communities. Although the communities we partner with face overwhelming obstacles, their members have the same energy, hope, and tenacity as anyone else. What is the URBAN REFUGEES incubation program? This program is specifically targeting Refugee-Led Organizations in cities around the globe. Consequently, only refugee community leaders can apply. Applications are made on behalf of their organization. What does it consist in exactly? Weekly coaching sessions to guide improvements. 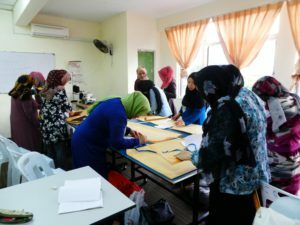 They are delivered at the community office to 2 main leaders as well as other leaders or volunteers involved in specific improvement activities.The leaders should be both female and male. Regular soft skill trainings delivered to the whole leadership of the organization and, if interested, volunteers, to develop team spirit and skills like learning from feedback, creativity or conflict management. Temporary financial support : a level of financial support may be provided to qualifying RLOs, based on need. The support, if provided, may be in the form of a stipend for staff / leaders to cover their time commitment to the work of the RLO or may be put towards more general support such as office rent or community centre support. Which subjects do the coaching and training sessions cover? Once again, the program varies from one organization to the other depending on needs. The program currently contains modules on key organizational issues such as governance, team work, fundraising, membership database, communications, volunteers management, information sharing, partnerships management, human resources, financial management, monitoring and evaluation and general office organisation. Creating information sharing pathways (newcomers’ package and leaflets at the office, use of WhatsApp groups and Facebook). RLOs participating in the program are also connected with key partners at the regional global level to further their mission and make their voice heard (Refugee Voices network, media, UN consultations…) as well as a pool of international donors online. We’ve accomplished so much, but the growing urgency of refugee issues in cities means we have a lot more to do and we can’t do it alone. Support the refugee communities that need it most.